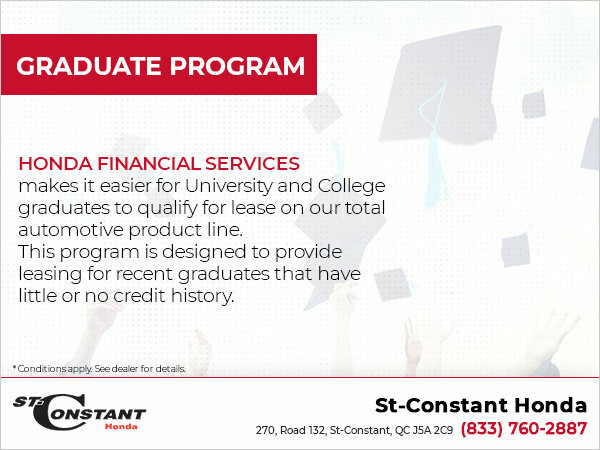 Take advantage of our Graduate Program at St-Constant Honda! Have you recently complete College or University? This program helps you to lease a vehicle whether you have little or no credit history at all! Stop by one of our dealers for more details.